"And so it returns, as it always does, to your own personal faith and testimony. That is the difference-maker, my young brothers and sisters. That is how you know. That is how you avoid the mistakes of the past and take your spirituality to the next level. If you are open and receptive to the whisperings of the Holy Spirit in your lives, you will understand the lessons of the past, and they will be burned into your souls by the power of your testimonies. "And how do you get such a testimony? Well, there's no new technology for that, nor will there ever be. 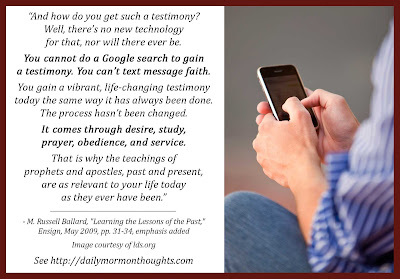 You cannot do a Google search to gain a testimony. You can't text message faith. You gain a vibrant, life-changing testimony today the same way it has always been done. The process hasn't been changed. It comes through desire, study, prayer, obedience, and service. That is why the teachings of prophets and apostles, past and present, are as relevant to your life today as they ever have been." The keys to true success and happiness in life always come back to our personal faith and testimony. 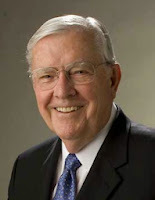 Elder Ballard mentions two significant goals: avoiding the mistakes of the past, and growing in spirituality. Those are both accomplished as we listen to the whisperings of the Spirit. So how is a testimony gained and strengthened? 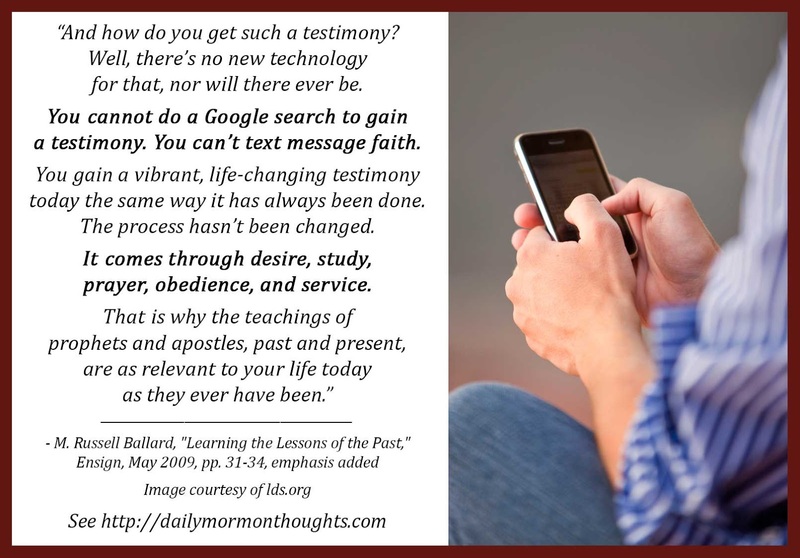 Elder Ballard mentions contemporary technology to offer a warning, then reminds us of the things that have always made a difference.